The election of Donald Trump has sparked an unprecedented outpouring of public mobilization across the United States and around the world. From the Women’s March to rallies against the Muslim Ban, people are demonstrating creative and powerful ways to take action, in Washington, D.C. and beyond, to resist Trump and fight for the world they want. This April, two powerful mobilizations will take place in D.C. and around the world, one to stand up for science and truth, the next to defend our climate, jobs, and justice. Together, the March for Science and the Peoples Climate March provide a powerful way for all of us to take action—together. Here’s the backstory. 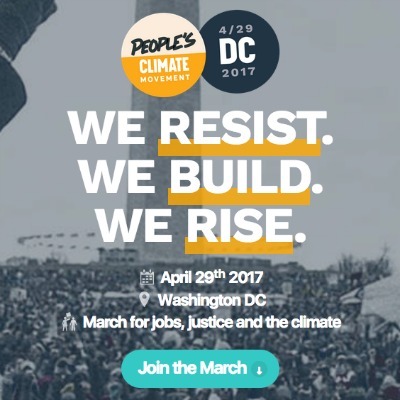 Last summer, the Peoples Climate Movement, a coalition of groups that came together around the first Peoples Climate March in 2014, started planning for a mass mobilization on April 29, 2017 in Washington, DC focused on fighting for climate, jobs and justice. The coalition picked the 29th because it would be the 100th day of the new administration: a good time to look back at what they had done, and what needed to happen next. Then the election of Donald Trump happened. The Peoples Climate Movement decided that the April 29th mobilization was more important than ever. In the first 100 hours of the administration, the coalition organized dozens of actions across the country and took part in the incredible Women’s March events. Actions have continued throughout the first 100 days and will culminate in DC on the 29th. This January, alarmed at the Trump administration’s attacks on science and its ability to serve the public good, a group of scientists called for a March for Science in Washington, D.C. and across the country. With “Rogue National Parks” and “Rogue NASA” twitter accounts proliferating, and scientists speaking out against “alternative facts,” the March quickly picked up momentum. Organizers decided to host the march in conjunction with the Earth Day Network on April 22. 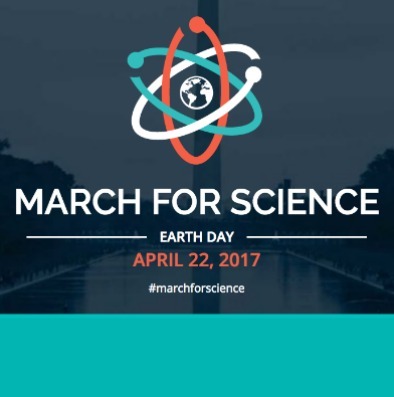 Hundreds of Science Marches are now planned around the world. In Washington, D.C., activities will include a march, rally and teach-in on the Mall. There has been some discussion about combining the two marches, but at the national level, each serves a particular purpose. The March for Science is dedicated to science and truth in all its forms: from combatting climate change, to curing diseases, to protecting our air and water. This powerful uprising of 400 (and counting) marches will demand evidence-based decision making from our politicians and unite local communities behind the importance of science. Then, a week later, values represented by the March for Science will manifest in the Peoples Climate March. Because the Trump administration’s reckless affronts to truth, none is clearer and more dangerous than its attacks on climate science at the service of fossil fuel interests. The Peoples Climate March will call for bold solutions to address the climate crisis, action that doesn’t just protect our environment, but also creates and retains jobs, and delivers social justice for all. In contrast to Trump’s divisive, fossil fuel based economy, the Peoples Climate March will put forward a bold vision of a clean energy economy that works for all. In some towns and cities, organizers will combine the two events. That’s great. Both mobilizations are intentionally open-source and encourage collaboration (and even combination) at the local level. During the week between the two marches, many different organizations, networks, and individuals are putting on other events, film screenings, announcements, and more. On the week of April 22-29, and beyond, America stands up for science, jobs, and justice, to truly prioritize our communities and our climate. Let’s get to work.